When I first heard that the CW was going to do a Green Arrow series, I was worried that it would be another “before they were a hero” concept like Smallville, as that seems to be their pitch for every DC comics based show. Fortunately that is not the direction they went. However they still had to do something to drive me nuts. In this case it was calling the show Arrow, not Green Arrow, just Arrow. Green Arrow is a character from the early forties. The general public may not be that familiar with him, but for the comic book fans he is a solid second tier character. Why mess with the iconic name. And I have not been able to find an answer to this question anywhere. I would think they would offer some answer for the change, but no, nothing. The speculation is that due to the failure of the Green Lantern movie, the producers dropped the word green from the series title to avoid association. Also Greg Berlanti, one of the series co-creators, was a writer and producer on Green Lantern and I think that added to the need for distance. So aside from the loss of the green how do I feel about the series? The premise of the series takes the basics of the comic book origin and uses it as a jumping off point. 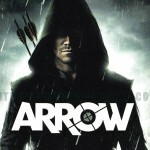 Oliver Queen, a rich socialite, is shipwrecked on an island for five years where he develops archery skills to survive. After being rescued from the island Queen comes home and becomes a Robin Hood themed crimefighter. One of the series strengths is that it takes this basic story and filters it through the same sensibilities that fueled Nolen’s Batman trilogy. Queen is now the son of a wealthy family. He is famous for being a rich party boy. While on a yacht trip with his father and his girlfriend’s sister, the yacht sinks and Oliver is the only survivor. Before dying his father confesses that he was corrupt and that he wants Oliver to survive, return home, and correct his mistakes by dealing with a list of other corrupt community leaders. Using flashbacks the series fleshes out that Oliver was not alone on the island. It is clear that the skills he gained during the five years there were not self-taught. Queen returns home, and lets people think he is returning to his party boy ways when really he is going after the people on his father’s list. So how does the series work, both on it’s own and as an adaptation of Green Arrow. As a series it works surprisingly well considering it is on the CW. The creators stated that they were using The Dark Knight trilogy as inspiration and it shows. The scripts are smart and there is at least a nod to practicality in how the heroics are presented. One of the strengths is that the series does not make the mistake of having the characters act dumb in order to maintain their plot. In the first three episodes Oliver has a body guard, John Diggle, thrust on him by his mother. In most other shows Diggle would have to be treated as a fool in order for Oliver to constantly ditch him and not have him figure out the truth. Here by the second episode Diggle knows something is up, and by the fourth Oliver has decided that he can trust Diggle and recruits him into the mission. This allows Diggle to be treated as a professional and for the show not to strain credibility with keeping Oliver’s secret. This is one of the mistakes that Smallville use to make and it is really good to see it avoided here. Another good decision is to make sure that this is not a super powered world. Even the most extreme characters are just really well trained, but not superhuman. The casting is also well done for the most part. This is a CW series so of course it is populated with a gaggle of pretty people, but it also has a better balance of non-model types. Also the type of people Oliver’s party boy lifestyle attracts makes this at least make sense. Stephen Amell is well suited to play this version of Oliver Queen. He is athletic and in scenes where Oliver is doing parkour it appears that Amell is doing it himself. He also brings a good balance to scenes that flashback to old party boy Oliver vs. determined crimefighter Oliver. There is also a bit of fan service with him, as not an episode goes by that he does not appear shirtless at least once. Katie Cassidy as Laurel Lance does fairly well. She is certainly much improved over when she first showed up as a reoccurring character on Supernatural. She holds her own with Amell in their scenes together and there is certainly chemistry. The biggest issue with her character is that she is they want to portray her as able to handle herself in a fight, and she does not have the shape or presence to quite pull that off. As her character is based on the Black Canary this is going to be a sticking point for a lot of comic fans. Paul Blackthorn as her father Detective Quentin Lance is probably the strongest actor of the cast, and his character provides some good tension. He is a good cop, but is angry at Oliver who he blames for his other daughter’s death. The only downside is that Blackthorn is playing Lance much the same as he played Harry Dresden on the Dresden Files and so it can be a little distracting if you watched that series. David Ramsey as John Diggle is the only one on the main cast whose character does not have roots in the comics. Earlier I described his situation with both how well his character is written and played. His story arch is still developing, with him now being partner and voice of reason to Oliver. It is going to be interesting to see where they take him. Colin Donnell and Willa Holland have it even worse in the development territory. Donnell plays Tommy Merlyn, Oliver’s best friend who expects that now he is back the good old days are back too. There are hints that he suspects more, but he does not get a lot of chance to show that. In the comics Merlyn is a rival archer and one of Green Arrows main enemies. Hopefully as the series progresses he will get more development. Holland plays Oliver’s sister Thea. Her role on the series is that of a reminder to Oliver of his shallow past as she is turning out the same way. Her nick name is Speedy and it appears she was based in part on the second Speedy to be Green Arrows sidekick in the comics. She really has very little to do other than pout and get lectures from Oliver. So what we have now that we are five episodes into the series is a good, if slightly flawed superhero series. I feel there is a lot of potential here and it seems that they are going in the right direction. I give Arrow a B-, but I will take a look at it again at the end of the season and see where we are then. 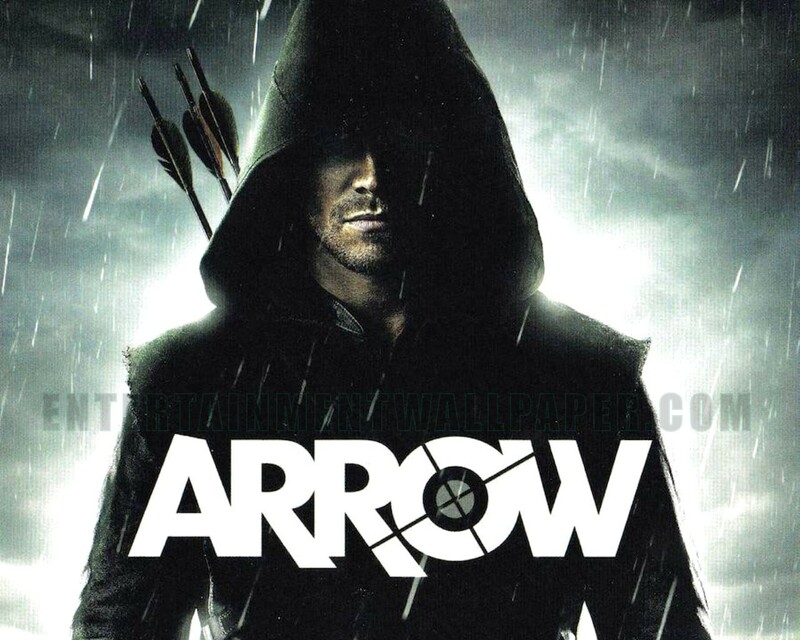 This entry was posted in Review and tagged Arrow, CW, DC comics, Green Arrow, review, TV Show by Caliban. Bookmark the permalink. Another possible reason (justification?) for the dropping of 'Green' could be that we can see, as an audience, that the character prefers the color green and we also know he has a comic book origin. But someone who is new to the character concept might think, "What? Is he an environmentalist or something? What's so Green about him?" I know it sounds silly, but I'm sure you'll agree you've heard worse rationale. Mike Grell's Longbow Hunter run is still one of my favorite arc's in comics history. But I don't mind that, at least for right now, the show is just called 'Arrow' and the main character is still just 'the hooded vigilante'.